When Jesus wanted to change lives he told stories. That's what the Lost Sheep series is all about. At the centre of the stories is Jesus. Some stories are about him, some are by him, but all of them point to him. The series takes the spirituality of children seriously but also believe the gospel is fun. Walk together with your child on Jesus' journey of sadness, courage and love. 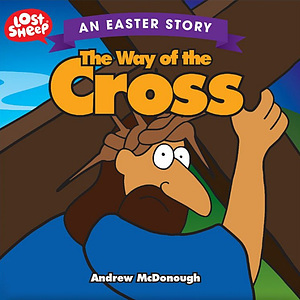 This story is based on fourteen traditional Gospel readings that follow the events of Easter from the garden to the cross. The Way of the Cross by Andrew McDonough was published by Sarah Grace Publishing in February 2018 and is our 1070th best seller. The ISBN for The Way of the Cross is 9781910786888. Be the first to review The Way of the Cross! Got a question? No problem! Just click here to ask us about The Way of the Cross.